On Sunday, superstar Vikram’s son Dhruv got involved in a road accident and injured one person. The aspiring actor allegedly rammed his car into three parked auto-rickshaws in Teynampet, Chennai. The vehicles have been damaged beyond repair and one of the drivers who was asleep inside the rickshaw was severely injured. He fractured his leg in the accident and has been hospitalised now. 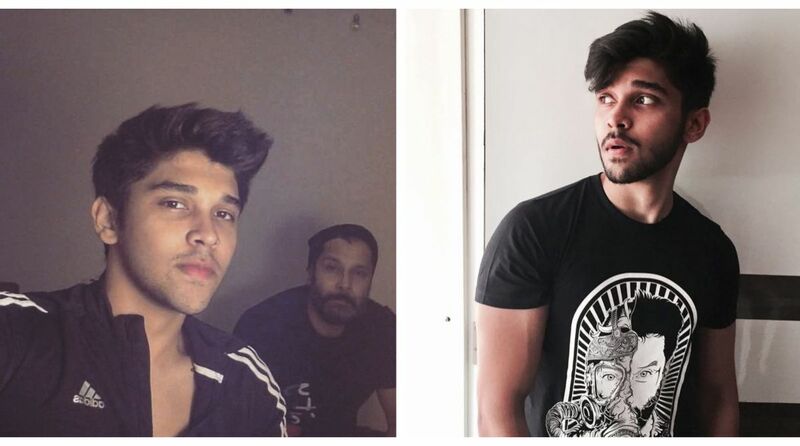 Reportedly, Dhruv was travelling with two of his friends and the accident took place near Teynampet police commissioner’s house. The Pondy Bazaar police station was informed about it and the officials rushed to the spot immediately. Dhruv who was booked under sections 279 (Rash driving or riding on a public way) and 337(Causing hurt by act endangering life or personal safety of others) of the IPC, has been granted bail now. A video has also been shared on social media where one of Dhruv’s friends could be seen refusing to get on to the police car. On the work front, Dhruv will make his debut this year with Bala’s directorial Varma, a remake of Arjun Reddy’s Telugu hit film.